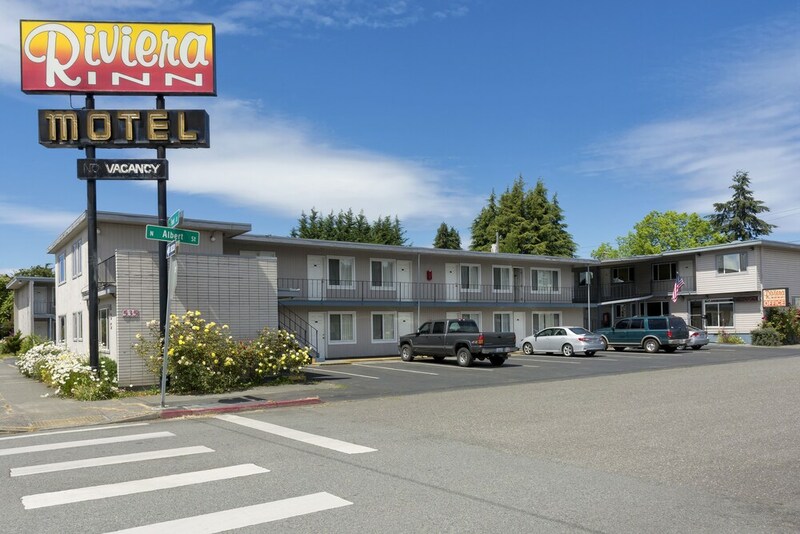 With a stay at Riviera Inn Motel in Port Angeles, you'll be within a 15-minute drive of Olympic National Park Visitor Center and Elwa River Casino. This motel is 17.3 mi (27.8 km) from Crescent Lake and 24.2 mi (38.9 km) from Victoria Harbour. Make yourself at home in one of the 37 guestrooms featuring refrigerators and flat-screen televisions. Complimentary wireless Internet access keeps you connected, and cable programming is available for your entertainment. Bathrooms with bathtubs or showers are provided. Conveniences include microwaves and portable fans, and housekeeping is provided daily. Riviera Inn Motel features express check-in and express check-out. Public areas are equipped with complimentary wireless Internet access. Onsite self parking is complimentary. Riviera Inn Motel is a smoke-free property. Only registered guests are allowed in the guestrooms. Alcohol is not served at this property.